Eze Chukwuemeka Eze, a chieftain of the All Progressives Congress (APC), on Tuesday gave real reasons former President, Olusegun Obasanjo asked President Muhammadu Buhari not to seek re-election in 2019. Eze, an associate of the Minister of Transportation, Rotimi Amaechi said Obasanjo never wanted anyone to equal his feat of been the only Nigerian to have ruled the country as a military Head of State and democratically elected President twice. The statement reads, “Till date, Dr. Olusegun Obasanjo is the only Nigerian who is a former Military Head of State and two-time democratically elected President. If I still know General Olusegun Obasanjo very well, he will never want anybody to equal his feats as far governance is concerned in Nigeria and to him, if Buhari is not stopped he may equal his record of being a Military Head of State and two-time duly elected President of Nigeria. “Not minding the crucial issues he raised in his statement, which President Buhari must study critically and act accordingly, let me reiterate that the fear of General Buhari equaling his record as a former Head of State and two-time elected President of Nigeria if he contests and wins the 2019 presidential election is actually the compelling force and reason that informed Obasanjo’s statement and the move for the formation of his Coalition Pressure Group in order to stop President Buhari from equalling his record and not because of any patriotic interest or consideration for a better Nigeria. “It is a fact that Dr. Obasanjo had the singular honour of influencing the nomination and election of Alhaji Shehu Shagari and the last three Nigerian Presidents: Umaru Musa Yar’Adua, Dr. Jonathan and the incumbent President, Buhari. Now he is in the process, according to him, of forming a Coalition Movement to influence the election of the fifth President of Nigeria since he left office. Interestingly, Dr. Obasanjo had at one time or the other come down hard on these Presidents he assisted to assume office. “As a concerned stakeholder, let me reiterate that Mr. President should do his best to engage those who fought and installed the APC administration and fulfil his pledge of expanding the Federal Executive Council and reconstituting the various Federal Boards of Agencies with committed APC members to reassure members that their efforts in the formation of the party was not in vain. 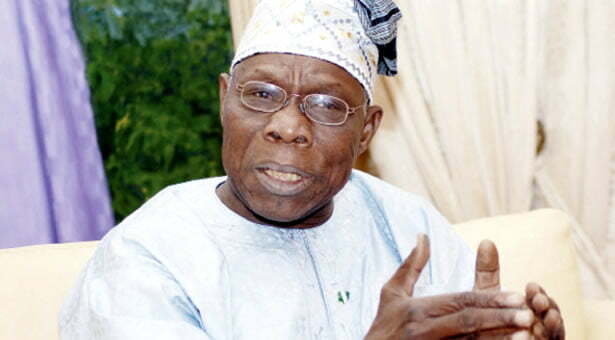 “I, however, strongly advise that the Federal Government should take time to study the issues Dr. Obasanjo raised in his press statement and see how some of them can be addressed so as to win back the confidence of Nigerians as it will be suicidal to bring back the People Democratic Party (PDP) to power at the centre as doing so will mark the end of Nigeria.